Refineries process crude oil to fuels of higher value such as LPG, gasoline, kerosene, and diesel. The main process steps involve the separation of the hydrocarbon feedstock by distillation, subsequent conversion (cracking, reforming, isomerization), treatment (e.g. hydrodesulfurization), and final blending of finished products. 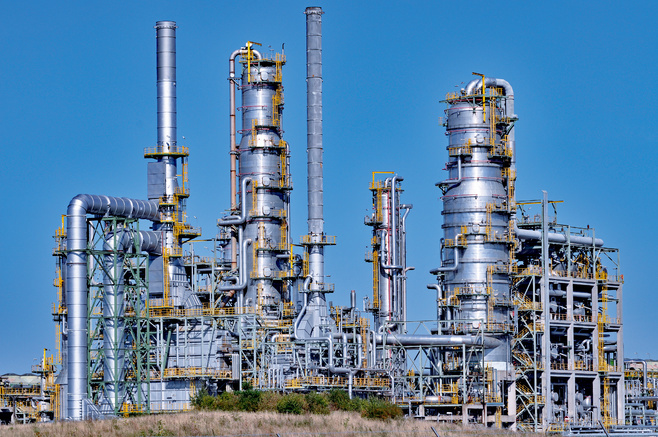 Refineries are challenged by a complex and rapidly changing market environment: different crude qualities, product slate flexibility, low sulfur requirements, stringent emission limits, and price volatility. Continuous adaptation and optimization are essential to stay in the game and be profitable. SICK offers field-proven products and solutions for process as well as emission applications.